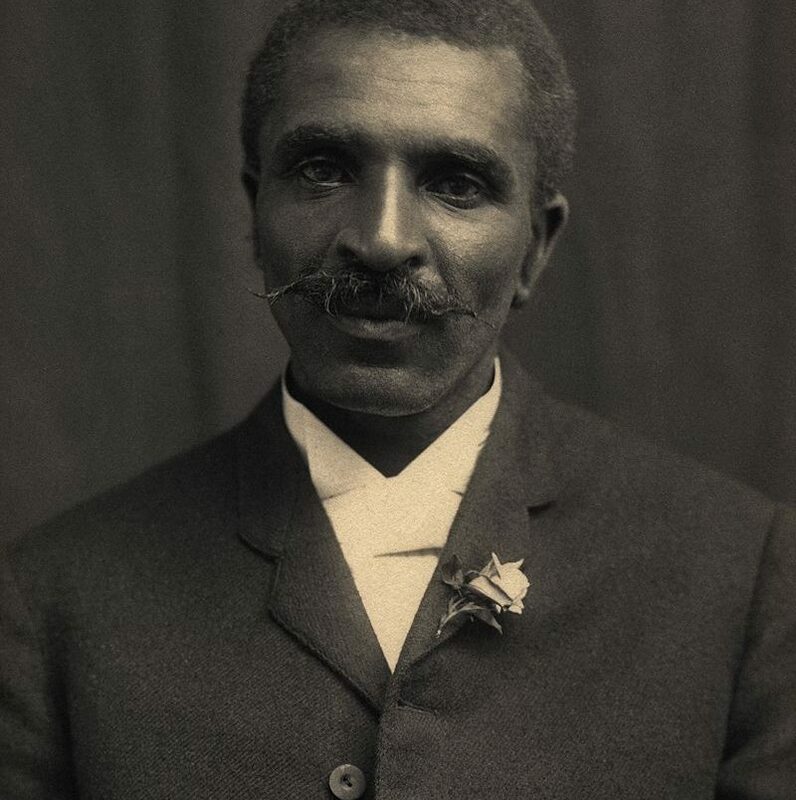 George Washington Carver was an agricultural scientist and inventor who actively promoted the use of crop rotation. Carver was born a slave and overcame many life challenges to pursue a career in science. He left his family to continue his education at various schools and applied to several colleges before being accepted. Once he arrived at that college, he was denied entrance due to his race. This led him to move and homestead a claim in Kansas, where he maintained a small plot of plants and flower. He also grew and harvested rice, corn, and garden produce, as well as fruit trees and forest trees. Finally, he was accepted into Simpson College in Indianola, Iowa, where he studied art and piano but was encouraged to study botany at Iowa State Agricultural College. After obtaining a degree from Iowa State and working there, Carver was hired to work at the Tuskegee Institute. While there, Carver became passionate about improving the quality of life for poor farmers, so he worked to develop techniques to improve soil quality and encouraged poor farmers to grow alternative crops besides cotton. By growing foods like peanuts and sweet potatoes, these farmers could grow more foods for themselves. Carver even created bulletins for farmers, one of which contained 105 food recipes for using peanuts. He also spent time developing products made from peanuts. Besides peanuts, Carver also researched new uses for sweet potatoes, soybeans, pecans, and more. With his innovative agricultural research, an invitation to speak at the 1920 Peanut Growers Association national conference, and his testimony in a 1921 federal case on the tariff of peanuts, he became known as a scholar, expert in the field of agriculture, and environmentalist.